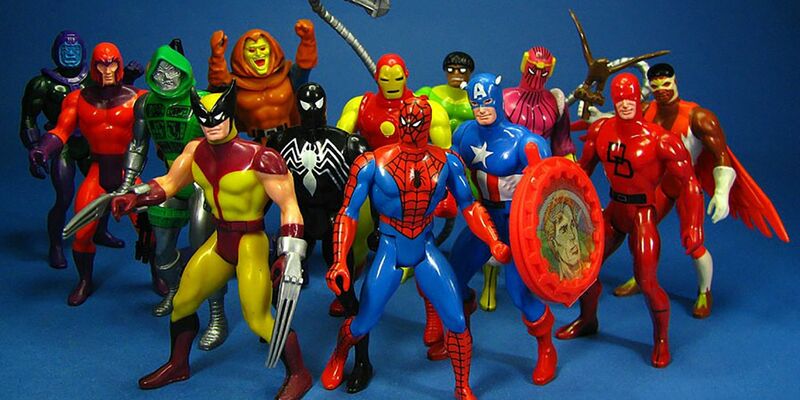 When I was a kid, Marvel action figures were stiff and impossible to get to stand on their own, and if you played with them for any significant the paint would completely wear off. (My vintage Captain America Secret Wars figure is so beat up, it looks like it has been involved in more wars than the actual Captain America.) Things have changed significantly in the last 30 years. A single modern Marvel figure has more articulation than my entire collection did at age eight. I know, I know, there are some incredible Marvel toys out there. Hot Toys has some unbelievable figures (with unbelievable price tags to boot). But even those toys, with their uncannily accurate faces, don’t quite capture the essence of the people; their accurate but kind of soulless. The Hot Toys Ant-Man definitely looks like Paul Rudd, but it doesn’t have his personality the way this thing does. This Ant-Man looks like he’s about to go on Conan and introduce a Mac and Me clip. I mean, it’s just astounding. And every time I walked past this thing in the Hasbro showroom, I laughed out loud. It’s so lifelike you’d swear they bombarded the real Paul Rudd with Pym Particles and shrunk him down to action figure size. Here are the other highlights of Hasbro’s upcoming Marvel and Star Wars toys as seen at Toy Fair 2018, including the also-impressive Evangeline Lilly Ant-Man and the Wasp figure, a slew of Solo: A Star Wars Story figures, and Space Dern from Star Wars: The Last Jedi. That likeness is so good, it’s downright Ruddian.